We are dedicated to improving symptoms and wellbeing of our patients. We work closely with our patients, whether pre-cancer treatment, during treatment, in recovery or in the survival stage. 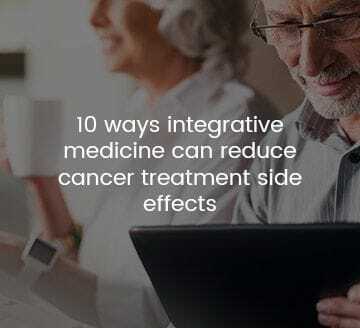 Whatever your cancer journey or that of your loved one, we are here to give you options about how to manage your treatments and well-being with Integrative Oncology practices.